Long Reach Watering: with added comfort. 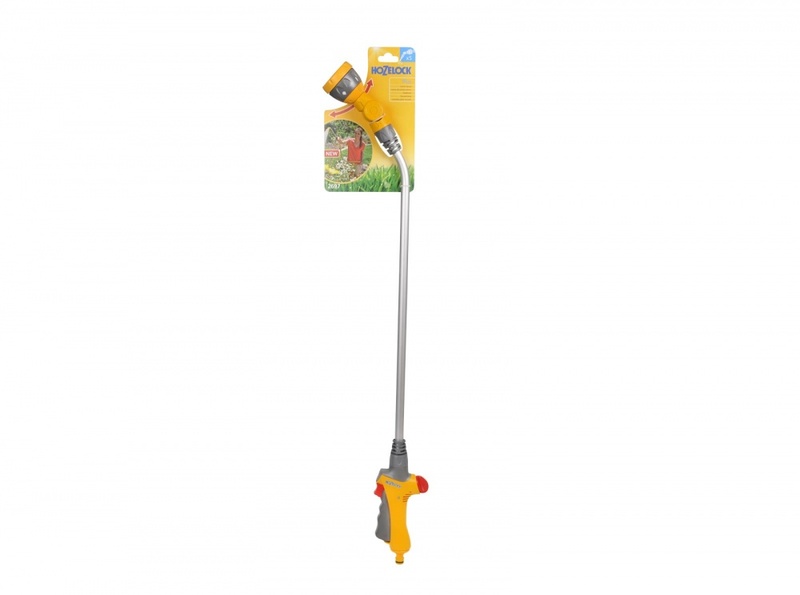 Made from high quality materials, this Hozelock Lance Spray Plus 90 offers next level long reach watering thanks to its new and innovative features. The Lance Spray Plus 90 provides extra reach and is light weight, yet robust and is packed with useful features. It is 50% lighter than its predecessor, has a long reach handle that is 90cm in length, an 180° adjustable spray head for even more convenient watering at different heights. Water flow is regulated by how much you squeeze the trigger. If watering for a prolonged time the trigger can be locked in position (2) to reduce any strain on the hand. The rear flow control with variable flow from 50% to 100% gives the user complete control over the water spray.